The deed is still in your name. The bank never owns the house and has no say as to what you do with the house as long as you keep it insured, pay the taxes, maintain it, and of course, live there. If you want to remodel it, paint it a different color, or even sell it, you are the one in control because your name is on the deed — just like it is now. You can move whenever you want. As a lender, we cannot ask you to ever move or sell your home earlier than you want to as long as you continue to pay your taxes and insurance and maintain the home. We have to honor that commitment for life or as long as you live in your home. However, you are allowed to change your mind and sell the home whenever you want if you wish to move to a warmer climate, a smaller home, or closer to your children — whatever your choice may be. Only you will make that decision, not the lender or the government. The HECM program is what is called in government-speak “Revenue Neutral.” That means the guarantees are authorized by the government, but the costs are paid by FHA mortgage insurance premiums, which are part of every loan that is done and paid out of the equity of the home. The taxpayers do not fund the program; it is simply made possible by the Federal Housing Administration, which monitors lenders to make sure seniors are being treated fairly and equitably. government agencies. These materials are not from HUD or FHA and were not approved by HUD or a government agency. *This advertisement does not constitute tax or financial advise. Please consult a tax and/or financial expert for your specific situation. **There are some circumstances that will cause the loan to mature and the balance to become due and payable. Borrower is still responsible for paying property taxes and insurance and maintaining the home. Credit subject to age, property and some limited debt qualifications. Program rates, fees, terms and conditions are not available in all states and subject to change. 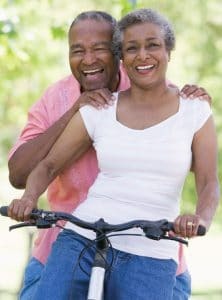 A reverse mortgage can enhance your cash flow and/or pay off (refinances) your current mortgage when mortgage payments are no longer as easy to make. You are still required to pay property taxes and homeowner interest, and maintain the home, however. As mentioned in the last section, the primary reason to use a reverse mortgage should be proactive, not reactive to a cash flow problem. When things are good, it is a great time to get a life preserver in case the financial waters get rough later in life. Everyone likes a raise so you can do some of the things that are fun and create memories that you will be glad to have at the sunset of life. It is sad when folks sit at home on top of thousands of dollars in equity and miss vacations, grandchildren’s college graduations, or even a dinner out because the budget is too tight. No well-meaning child would ever ask you to pinch pennies so they could have a larger home equity inheritance when you pass away. They would rather have you enjoy life with them. Just ask them! In any rough economic times, there are many things that you can take advantage of if you have cash. You can purchase a vacation home in Arizona or a condo in Florida when you see below market prices! You could help a grandchild save their home from foreclosure or help them with college as costs soar over $20,000 per year at public universities. Think about it – if you had an extra $100,000 in your hand today, whom could you give it to, or what else could you do with it? With your wisdom and experience, we know you can think of lots of options. *Consult your tax advisor regarding potential tax implications and your specific situation. If you work with a professional financial advisor in the life insurance industry, you may find there are many products designed for those with excess cash, including some that may accomplish more than a paid-off house could by itself. Talk to your financial advisor about products that may be available to you and your specific situation. *This is not financial advice; please consult with your financial advisor about your specific situation. Using the loan proceeds from a reverse mortgage loan, can potentially help all of your investments last longer. Talk to your financial advisor about how to incorporate this loan into your overall financial plan. 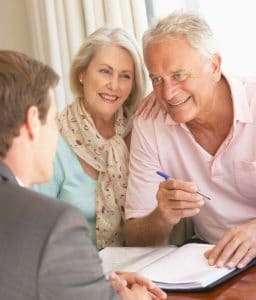 Other ways a reverse mortgage loan can help with your overall cash flow is by bridging the Medicare gap between the ages of 62-65; and taking into consideration that the loan proceeds are tax free. *This is not tax or financial advice. Please consult your tax and/or financial advisor for your specific situation. *This is not tax or financial advice. Please consult your tax and/or financial advisor for your specific situation.